514.1 Kyle Burghout from CCÉ, Ottawa, Canada, plays a reel in Senior Fiddle competition at Fleadh Cheoil na hÉireann 2015 in Sligo. 514.2 Ann Marie Bell from CCÉ Fred Finn, Sligo plays a jig in senior Concertina competition at Fleadh Cheoil na hÉireann. 514.3 Christina Smith, CCE, Irish Ministrels, Glasgow, Scotland, plays a reel The Green Fields of Glentown in the Senior Fiddle Competition. 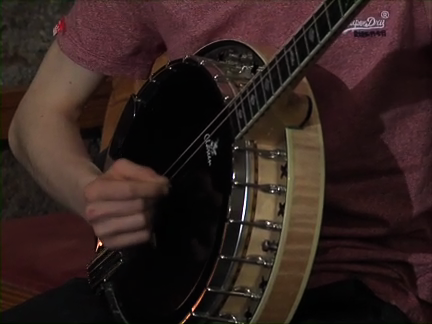 514.4 From Barnacullia, Sandyford, Dublin, Tiarnán and Breandán O’ Connell, on banjo and bodhrán respectively, play a selection of 3 Jigs ending with ’The Czar of Munster’. Recorded at Comhaltas headquarters, Cultúrlann na hÉireann, Monkstown, Dublin on 20th March 2017. Sincere thanks to Bernard O’ Sullivan for all his help in organising the recording. 514.5 Aisling Ní Mhurchú from CCÉ, Baile Buí, Co. Offaly, plays a Reel - ‘Bonny Kate’ - in 15-18 Fiddle competition at Fleadh Cheoil na hÉireann 2016 in Ennis, Co. Clare. 514.6 Dublin fiddle player Seán Montgomery plays a very old but rarely heard tune ‘The roving pedlar”, a Set-Dance. Recorded at Comhaltas headquarters, Cultúrlann na hÉireann, Monkstown, Dublin on 20th March 2017. 514.7 Rachael Hughes and Mary Duggan from CCÉ, Leacadh, Co. Galway, play a Reel in 12-15 Duets competition at Fleadh Cheoil na hÉireann 2016 in Ennis, Co. Clare. 514.8 All-Ireland 15-18 Fiddle champion for 2016 Patrick Finley, CCÉ, Irish Traditions, Atlanta, Georgia, USA, plays a Hornpipe - ’The drunken sailor’ in the competition at Fleadh Cheoil na hÉireann 2016 in Ennis, Co. Clare. 514.9 From CCÉ, St. Wilfreds, Manchester, England, Orla and Caitlín Donnelly play a Reel in 12-15 Duets at Fleadh Cheoil na hÉireann 2016 in Ennis, Co. Clare. 514.11 Caoilinn Diver from CCÉ, Seámus Mac Giolla Bhride, Co. Donegal, plays a Reel - ‘Col. Fraser’ - in 15-18 Fiddle competition at Fleadh Cheoil na hÉireann 2016 in Ennis Co. Clare. 514.12 Recorded at the North American Comhaltas Convention April 2017 in Hilton Hotel, Chicago, John Paul Reynolds on fiddle, Rose Flanagan on fiddle and Rose’s son Kieran on piano. From Pearl River, New York, they play “The marathon hornpipe”. 514.13 Recorded at the North American Comhaltas Convention, 20th to 24th April 2017 in Hilton Hotel, Chicago, Laurence Nugent, originally from Co. Fermanagh and residing in Chicago for many years, and Kavan Donohoe son of renowned Cavan musician/radio presenter Martin Donohoe and residing in Chicago since September 2016. They play 2 Reels - “ “The bozouki player’s nightmare” ( by Fintan McManus) and “ The gosoon that beat his father “. 514.14 Recorded at Comhaltas Headquarters at Cultúrlann na hÉireann in Monkstown, Dublin on 20th March 2017, Martin Gaffney on concert flute and his family - Maitiú on flute, Eleanor on concertina and Fiona on fiddle. From Churchtown, Dublin, they play 2 Reels - “Love at the endings” ( by Ed. Reavy, like Martin, a native of Co. Cavan) and “Lucky in love”. 514.15 In 12 - 15 Duets at Fleadh Cheoil na hÉireann 2016 in Ennis, Co. Clare, Verona Ní Lionsigh and Aoife Ní Ghillomhartain from CCÉ, Baile Buí, Co. Offaly, play a Reel - “M and M”.